The everyday, flagship beers still tend to be ales and straight-up ale yeast is still the workhorse of the American craft beer movement, according to Michael Dawson, brand manager for Wyeast Laboratories Inc..
As the old saying goes, “Brewers make wort, yeast makes beer.” With craft brewers creating crazy new brews and diving into specialized styles, like sours, the usage and strains of yeast are playing an ever-important role in the brewing process. 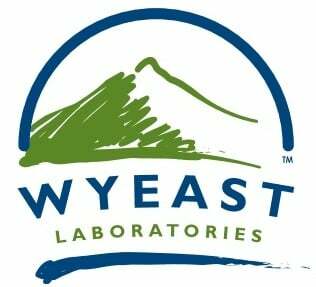 To find out how the craft industry has impacted yeast development and usage, Craft Brewing Business talked to Michael Dawson, brand manager for Wyeast Laboratories Inc., an artisan in the fermentation industry based in the Columbia River Gorge outside of Hood River, Ore. Craft Brewing Business (CBB): Thanks for taking the time to talk to us, Michael. First off, can you give us some background on Wyeast Laboratories? Dawson: Wyeast was founded in 1986 and remains a family-owned business in Hood River, Ore. We serve craft breweries, wineries, distilleries, cideries, meaderies, sake brewers and homebrew retailers all over the world. Like everyone in the beverage trade, we’ve seen growth in craft cider and craft distilling over the past couple years, but the core focus of our line remains brewers’ yeast. CBB: What types of yeast and other yeast-related products do you offer? Dawson: In addition to a library of year-round and seasonal brewing yeast and bacteria, we have a line of nutrient and fermentation additives. We also offer archiving services for proprietary strains and lab analysis for clients. CBB: From your view, how has the increase in craft brewing popularity impacted your yeast sales? Dawson: We’ve been extremely busy! According to the Brewers Association, there are now 2,500 breweries in the U.S. — the great majority of which are defined as craft breweries – plus another 1,500 in the planning stages. That growth has actually been accelerating in the past couple years, so finding new clients isn’t our main challenge right now! Wyeast was founded in 1986 and remains a family-owned business in Hood River, Ore.
We still have accounts with breweries from back when we started in ’86, and now a whole slew of new and prospective customers are entering the market – it’s an exciting, unprecedented time for American beer. The good thing for us is that, compared to other brewing ingredients, building up multiple generations of yeast can be done in a relatively short time, so we’re able to be much more flexible in meeting this new, growing demand than, for example, hop or barley farmers. And that means the good thing for brewers is even if they have to compete for a finite supply of Citra or Amarillo each year, they’ll still be able to get the type and quantity of yeast they want. CBB: Historically what yeasts have been brewing staples? Dawson: Ales were really the staple of the American microbrew/craft beer movement when we started, and by and large they still are. If I can generalize, there was more of a British influence in the ‘80s and early ‘90s in terms of beer style and yeast selection, but that’s since given way to a preference for a more “American ale” profile – drier and less ester-driven, more neutral. CBB: What yeast segment is the biggest seller right now? Dawson: As drinkers and brewers alike have become a bit more adventurous, more Belgian strains are in use now, sour and wild beers with Brettanomyces and bacteria, and we see more traditional lagers being brewed these days, which is great – but everybody still has to have an IPA! The everyday, flagship beers still tend to be ales, and straight-up ale yeast is still the workhorse of the American craft beer movement. CBB: What are the current trends in yeast usage within the craft beer segment? What are a few examples of brewers using yeasts in unique ways? “As drinkers and brewers alike have become a bit more adventurous, more Belgian strains are in use now, sour and wild beers with Brettanomyces and bacteria, and we see more traditional lagers being brewed these days, which is great – but everybody still has to have an IPA!” — Michael Dawson, brand manager for Wyeast Laboratories Inc.Dawson: To me, the best example of unique usage is when a yeast strain turns up in a beer where you wouldn’t expect it – I’m sure your readers can think of a beer they recently had where the fermentation subverted the norm: Sake yeast in an Imperial Octoberfest, Bavarian lager or Trappist ale or pure Brett in an IPA. “Farmhouse” ales get a lot of interest right now, so we’ve seen an uptick in orders for saison strains in the past year or so. Sour ales have enjoyed a lot of buzz the last couple years; not to sound like the grumpy old man, but we’ve had a roster of sour blends, Brett and bacteria for decades. I think American brewers have been making good ones for a little while, the drinking public is just catching on. CBB: How do different seasonal beer offerings impact yeast sales? Dawson: I think in terms of the types and varieties of yeast, it changes a bit based on exact time of year, style and brewery, of course. For example, maybe Bavarian lager strains in mid-winter or summer as brewers are laying down a Maibock or Oktoberfest; maybe something clean and neutral like 1056 for autumn releases like fresh-hop beers or pumpkin ales. In terms of overall volume, I’m not sure seasonal releases trump the season itself – more beer is sold during summer in general. CBB: Hops and malts often get much of the brewing ingredient spotlight, leaving yeast to be the unsung hero of the brewing process. Explain the importance and impact that yeast has on the brewing process in terms of creating unique craft brews. Dawson: Today more than ever, I think brewers get the importance of yeast and good fermentation practices, but for the average drinker, that part of the process is still pretty invisible, and it’s much more difficult to understand and parse out than the aroma profile of a certain hop varietal or the flavor and color you get from this color crystal malt. CBB: Walk us through the yeast supply chain — what does a typical commercial brewer yeast contract look like? Dawson: Apart from archiving proprietary strains, we don’t really require contracts. We’ll work with a brewer to first help determine the right strain, pitch rate, etc., for their wort, equipment and needs; then prop it up to specification and ship it overnight so it arrives fresh and ready to pitch. For a year-round strain, we can usually turn it around within a week or two, a bit longer if it’s an archived strain coming out of the vault. CBB: What advice would you give to a craft brewer looking to form a new relationship with a yeast provider? Dawson: Start a conversation! Ask questions and do due diligence! Use us as a resource. Our microbiologists have a lot of years of brewhouse experience. We attend a number of local and national trade shows every year to get out and meet with brewers in a more social setting, and it’s a great opportunity to say hi to our sales and lab staff and have those conversations in person. Craft brewing is still a very tight-knit industry, and that “spirit of ‘86” – that we’re all in this together – is still alive out there. Ryan Mugele liked this on Facebook.